Sometimes it can be difficult to find a place to get away from the stress of day to day life or even the excitement of a trip to the DC area. Full of parks and open space, Prince William & Manassas is a great place to escape. 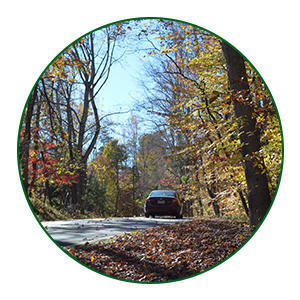 There is one place in particular where you can always find some peace and quiet – Prince William Forest Park. 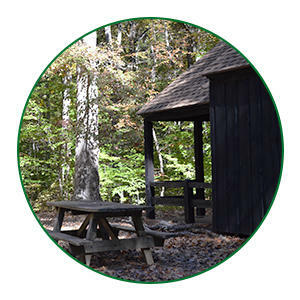 Located off of I-95, Prince William Forest Park is one of Prince William & Manassas’ best kept secrets, acts as the perfect weekend retreat for the DC area and a peaceful experience for visitors. Many people are unfamiliar with the park, and a lot of those familiar with it don’t know its whole story. The park is 15,000 acres making it the largest green space in the DC Metro area and the largest piedmont forest within the National Park Service. 15,000 acres is difficult to imagine, but if it helps, that makes the park about 1/3 of the size of Washington, DC. What does this mean for visitors? Not only will you experience beautiful scenery, but you will also be able to find a quiet place to relax and collect your thoughts. Among the trees and various other plants, you will find nature walks, a pond, and campgrounds. A nature walk is a good way to get out and experience the great outdoors. Carter’s Pond, located inside the park, is a great place to go fishing and have a relaxing picnic outdoors. The campgrounds are a great option for those looking for a technology detox or simply a refuge to get away for a couple of days. The park used to be the “Chopawamsic Recreation Area.” Chopawamsic means “by the small isolated lodge” in the language of the Algonquian people who once lived here. Many Native American artifacts have been found inside the park. Located close to our nation’s capital, Prince William Forest Park also served as a training site for the Office of Strategic Services (the CIA’s predecessor) during World War II. 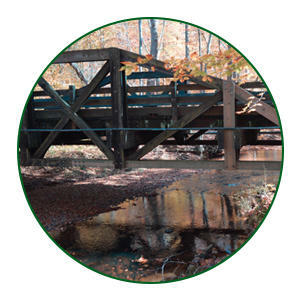 Learn more about the history of Prince William Forest Park. Being “off the beaten path” and in a “convenient location” seem like contradictory features, but this magnificent forest is able to achieve both. Because the park entrance is right off of I-95, it is easy to access the park no matter where you are coming from. The park is far enough from DC to avoid the buzz of the city, but close enough to main roads to serve as an easy escape.